I’ll admit it; I could do a better job taking care of my teeth. I get the “you need to start flossing daily” speech every time I sit in the dentist’s chair, and I’ve had my share of fillings over the years. But I do try to improve! Heck, I want a radiant smile to win over friends and HR managers!  Why are good habits so difficult to maintain? As a sentient human being, I know better. But my Lab, who’s equally sentient, but entirely less self-conscious, has no clue about dental hygiene. It’s up to me, as his owner, to take the lead and ensure his chompers are up to snuff. 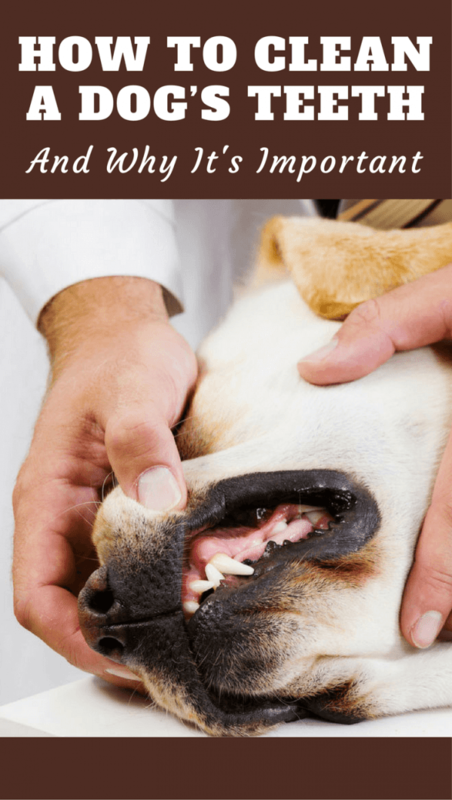 If you haven’t thought much about your dog’s teeth in the past, maybe it’s time you started? 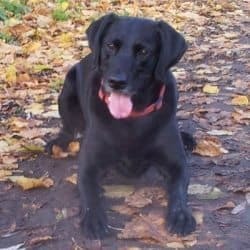 Do My Dog’s Teeth Need Special Care? Don’t worry; you’re not alone. Many dog owners don’t consider the health of their pal’s teeth, and it’s not because they’re neglectful owners. Frankly, it’s not a subject that gets brought up a lot! Indeed, no one mentioned it to my wife and me when we brought our puppy home. Statistics suggest that as many as two-thirds of pet owners do not care for their pets’ teeth. The result? Approximately 80% of dogs have some form of dental problem by the age of 3. When you think about it, the existence of canine oral hygiene issues isn’t too surprising. Not only do they chew food every day of their life, but they also use their mouths to play, carry their possessions, and learn about their environments. Infections or disease in the mouth can cause your dog pain. This may not be outwardly obvious since dogs, like all animals, are instinctually reluctant to show signs of suffering or weakness. 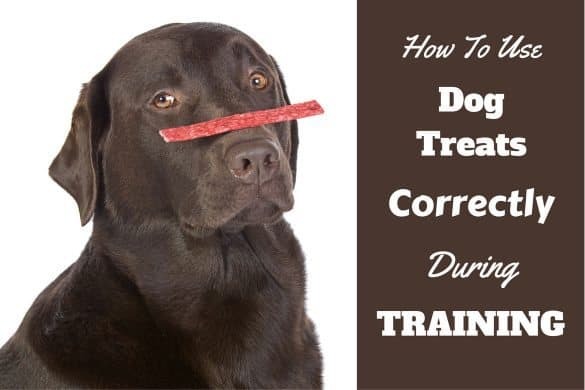 The observant owner may notice a reluctance to pick things up with the mouth, more care shown while eating (Labs tend to be loud and fast eaters), or even a loss of interest in eating. Incredibly, untreated mouth infections can lead to holes known as fistulas forming between the mouth and the nasal passages. And if the infection reaches the bone, the resulting weakness can leave your dog vulnerable to a fractured jaw. Often what you see going on in your dog’s mouth is just the tip of the iceberg. What begins there can end in places you would never have considered. Infections that occur in the delicate tissues around the teeth can make their way into the bloodstream. Once in there, they’re on the highway to vital organs and anywhere else they care to travel. Bacteria secrete toxins, and these toxins, once in the blood, find new homes in the brain, kidneys, and the heart. Some vets are convinced that these bacteria can move about the body and establish new colonies in the vital organs. These secondary infections can lead to permanent damage to the organs, cause chronic pain, and may even prove to be fatal. Once serious mouth disease has set in, professional help is required. You might be surprised to learn that there are vets who specialize in dental care. As such, all kinds of care options are available for your dog. Professional cleaning might be sufficient to remove large amounts of plaque build-up, but more severe issues may require extractions or dental surgery. All of these procedures require the use of anesthetic, something that should never be taken lightly. If you’re interested in learning about veterinary dentistry in more detail, have a browse around the American Veterinary Dental College website. As you might imagine, doggy dental bills add up quickly, running from hundreds to thousands of dollars. Your best bet? Avoid dental trouble by taking care of your dog’s teeth at home. Dental care for your Lab should be part of your regular health maintenance routine from the day you bring your new friend home. Eating a nutritious diet is the key to good health for your dog from stem to stern. 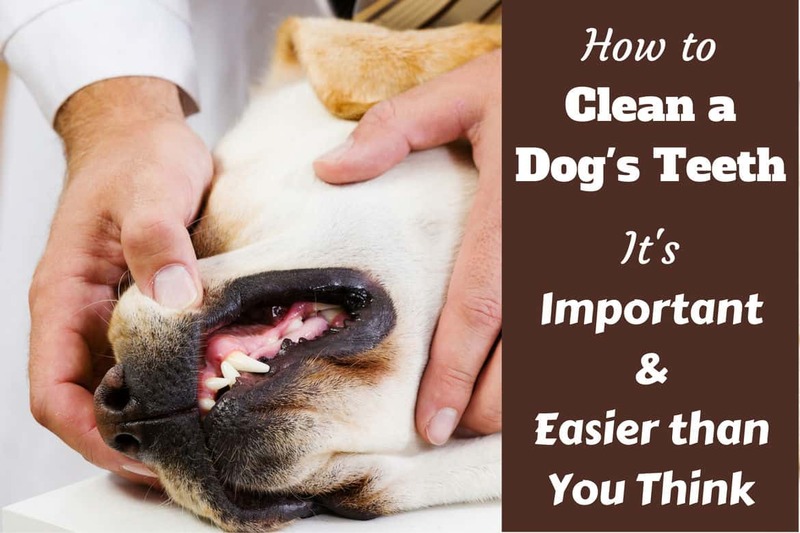 Many dog foods purport to aid with dental hygiene, especially tartar control. Dry kibble, in particular, has an abrasive action that helps clean teeth, and it won’t stick to teeth as readily as wet food will. While feeding your dog meat provides enzymes that may help to keep the mouth healthy. 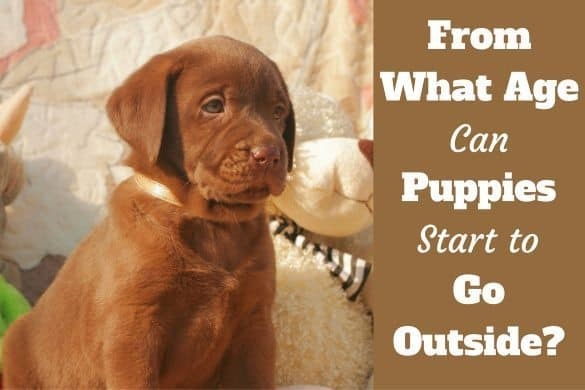 Take advantage of your Lab’s natural inclination to chew things (especially as a puppy) and you can help them help themselves. Many edible chew treats help to remove plaque and tartar, especially ones made from rawhide. Best of all, it requires no encouragement whatsoever to get a Lab to chew! If only I could convince my kids so easily to take care of their teeth. The jury is still out on nylon bones, but there are many non-edible chew toys made of rubber that are specially designed to help clean your dog’s teeth. And they’re great fun to play with! A small group of vets has formed the Veterinary Oral Health Council and they offer their seal of approval to products they feel are especially beneficial for oral and dental hygiene of pets. 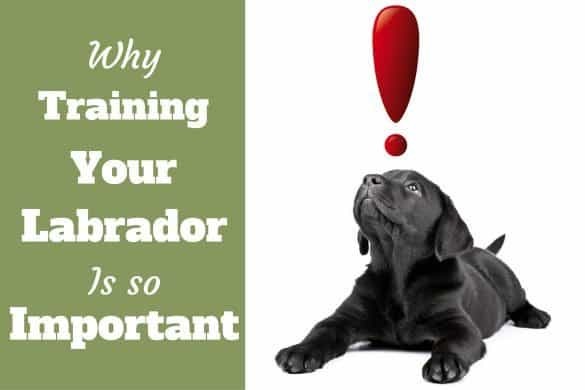 They publish a list of food and treats that meet their criteria, and it’s a good place to start when choosing passive dental care options for your Lab. 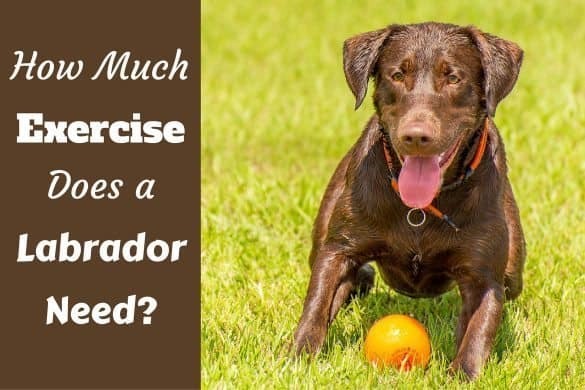 Are Chew Toys and Treats Effective? Daily use of quality treats and toys can help reduce the risk of tooth and gum disease by cleaning away plaque. Be careful, though: over-use of treats can lead to a plump pooch! For some dogs, this level of tooth care will be sufficient to stave off oral disease and infections. For others, though, problems may still develop. The reasons may be environmental, the dog’s age, or just their unique physical characteristics (less active immune system, crowded teeth that resist cleaning, etc.). The surest way to keep your Lab’s mouth healthy is to adopt a hands-on approach. Just as it is for you and me, the best way to care for your dog’s teeth is to brush them. For maximum effectiveness, you’ll need to do this daily. For some, this may be too much to expect. Rest assured, even brushing your dog’s teeth just a few times a week can still be highly beneficial. For some, this may be too much to expect. Rest assured, even brushing your dog’s teeth just a few times a week can still be highly beneficial. And while it may seem like it’s a lot of work, it really isn’t, and the more you do it, the easier it becomes. Buy a brush and paste specially made for dogs. Choose a brush the appropriate size for your dog. Pick a flavor of paste you think your Lab will love, like poultry or peanut butter. Yum! It is vital to avoid toothpaste for humans as they contain ingredients harmful to your dog. Right after eating or any other lively time of day is not the best choice for poking around your dog’s mouth! You know your Lab best: choose a time when things are typically more settled to achieve minimal resistance. Create a routine by sticking to that time. Looming over your dog, pinning it down, or holding it in place are all ways to ensure tooth time is a disaster! 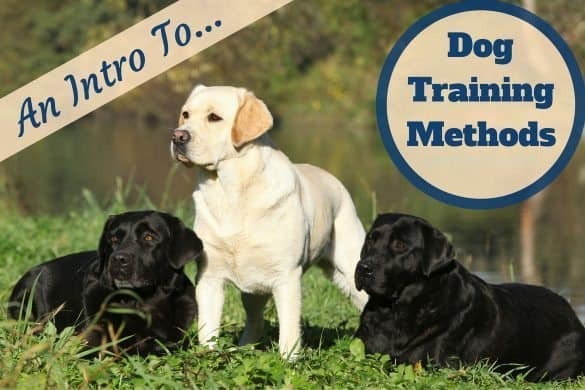 You need to approach in a calm, friendly manner at the dog’s level. You might wish to have some warm-up sessions where you simply rub your fingers over the dog’s gums and teeth to get it used to the activity. Use your (clean!) 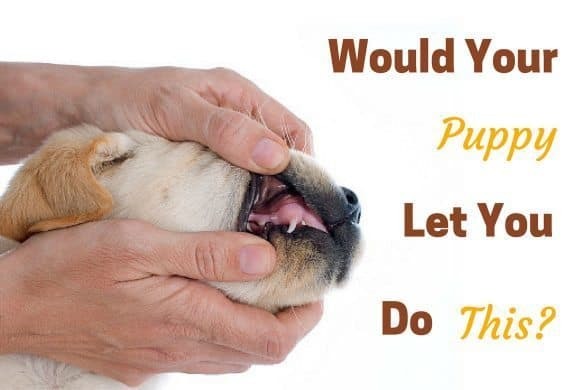 finger to pull back your dog’s lips and expose the gum line. This is a great chance to visually inspect the teeth and gums for any obvious problems. With paste on the brush, tilt the brush on a 45 degree angle so that the bristles are gently working the gum line. Whether to use a circular or back and forth motion is rather a matter of personal choice, as both methods have backers in the veterinary community. You don’t want to try your dog’s patience, so limit yourself to a couple of minutes spent cleaning the outside edge of the teeth. Try to remove as much plaque and other matter as possible without being too aggressive. Occasional bleeding from the gums is not out of the ordinary, but if it happens regularly you may be pressing too hard. When you’re all done, be sure and offer lots of heartfelt praise to your dog for being so good! You might offer a treat, or just engage in some cuddles and petting. I hope that I’ve got you thinking about oral hygiene as it pertains to your dog. As with all aspects of canine health care, prevention is the best medicine. By making brushing part of your daily routine, you’re potentially adding years to your Lab’s life. Surely that’s worth 2 minutes out of your day? Thank you for the advice Jim, how can I view the video? No link for video. Would love to watch it. Thanks for the heads up! Video is there now.